I thought I'd stop in today with a easy tip before everyone heads off to the post office to send out their Christmas packages. 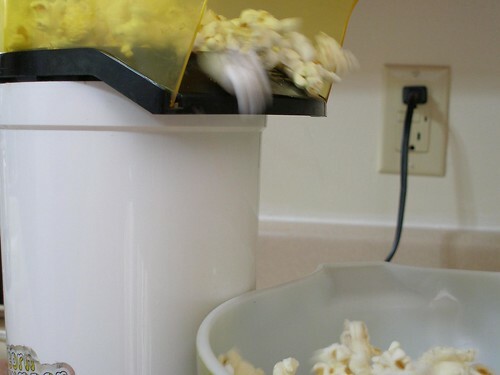 For several years now, I've used freshly-popped popcorn for cushioning and it works beautifully. because all other methods will add oil or butter, which obviously is not a great thing. 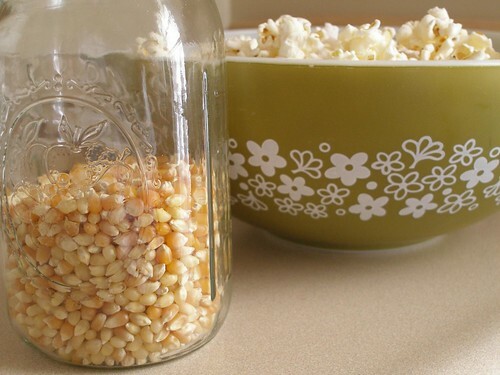 The first time I made popcorn this way as an adult was a revelation. It's even faster than in the microwave and you don't risk filling your house with that scorched popcorn smell. What I love about using it as packaging is that it's cheap and environmentally friendly. And once they've opened their gift, the recipients can even use it to string up garlands for the birdies. And you get to eat any leftovers. Love this. I love our air popper but never thought of it as packing material! And you're using my favorite bowl! I wish I had kept my old air popper. I think it was a handed-down one from my parents. Then when we got a microwave, I think it got the old heave-ho. Darn. Do they even sell these any more? It's a great idea. Thanks for sharing. Isn't it weird that none of us had thought of this. I mean, the synthetic stuff is actually called popcorn. 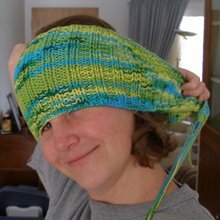 Linda (Wander), it's one of my favorites too! The Jolly Bee, ours is a hand-me-down too. And they do still sell these. I've got a link to one in the post. Duuude! FANTASTIC idea!!!! So earth friendly!!! Brilliant! Clever girl. I'll have to keep my eye out at the thrift for a used air popper. I still make "eating" popcorn on the stove top...white, not yellow, with sea salt and real butter. Omgosh, I'm hungry all of a sudden. ha. Loved the price is right story too. That was adorable. I get it - but it'd never work in my house. 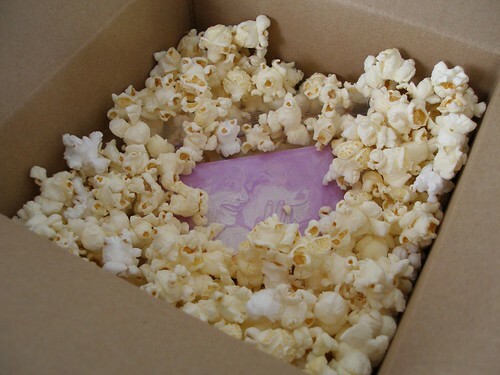 I'd eat it all before I got the box closed. I can eat my body weight in popcorn. That's a lot of popcorn. awesome. we will try this next year.